Te Matuku Grove is located at the Eastern End of Waiheke Island, on the coastal slopes overlooking Te Matuku Bay Marine Reserve. Koroneiki and Frantoio olives are hand picked producing this premium olive oil. 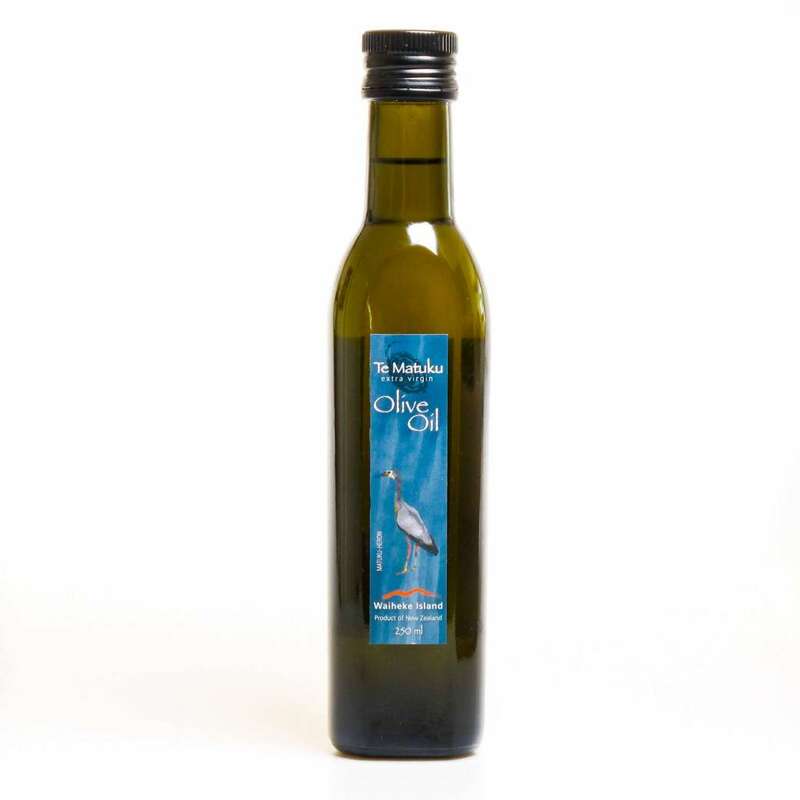 This seasons oil has a very good fresh olive, green leafy and green herb aroma. These notes carry through well to the palate where there are buttery flavours as well. The oil is smooth and well balanced, has moderate bitterness and pungency and a very pleasant lingering finish.